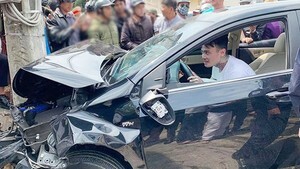 A fire, which erupted at United Motor Vietnam and ripped across surrounding areas in Noi Bai Industrial Park at midnight, was distinguished at 3 a.m. on June 22, announced the Firefighting Police Department in Soc Son district, Hanoi. Hundreds of meters high billows of smoke were seen at the scene. 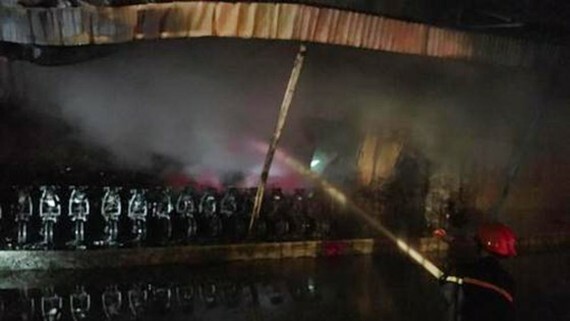 The company’s warehouses accommodating machinery components and electric bicycles were burnt down. Twelve fire trucks together with hundreds of firemen were mobilized to stamp out the fire. The firemen said that inflammable and plastic materials raised difficulties for them to douse the flame. Police agency has started scene investigation to address the fire’s cause.